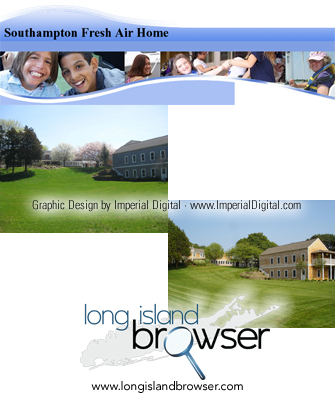 Southampton Fresh Air Home (SFAH) on Long Island, New York is a nonprofit residential camp in the Eastern United States that accommodates severely, mildly and moderately physically challenged children. Southampton Fresh Air Home provides an environment in which campers play, socialize, mature and develop physically, emotionally and psychologically. With its unique atmosphere and varied programs, Southampton Fresh Air Home encourages self-confidence and new skills and attitudes, to enable its campers to live more rewarding lives. During their time at Southampton Fresh Air Home, they develop a sense of community, a sense of belonging and a sense of equality. 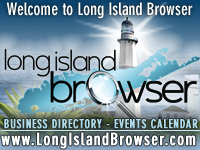 The Southampton Fresh Air Home is located in Southampton, New York on the East End of Long Island. The camp's four acres have accessible facilities including dormitories, staff quarters and a main building with a dining hall and an activities room. There are tennis and basketball courts, two outdoor swimming pools, a computer center and an arts and crafts studio. Tags: Southampton Fresh Air Home, SFAH, residential camp, camp, summer camp, sleep-away camp, special needs children, physically challenged children, non-profit, non-profit, Southampton, Suffolk County, Long Island, New York.